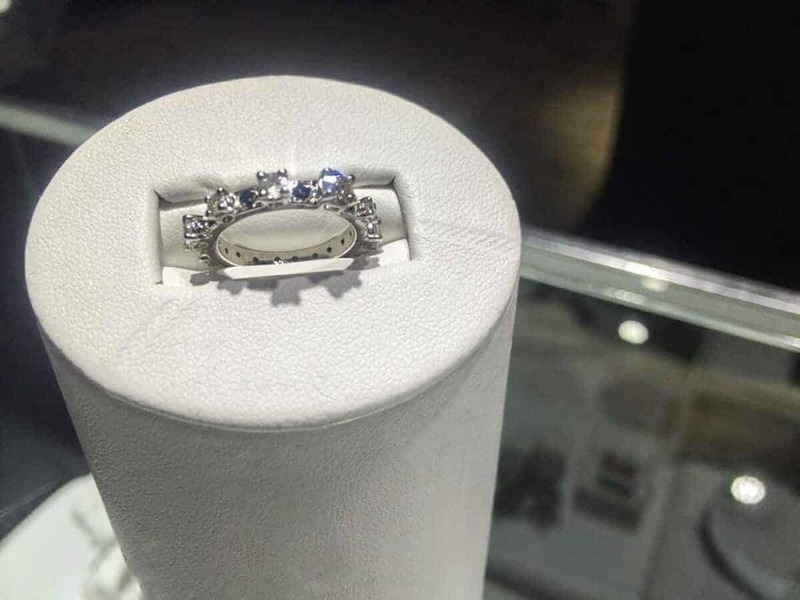 At Nature Coast Jewelers, we value your patronage, and we value your trust. You get great atmosphere and customer service. And, when available, we can even provide on-the-spot sizings, repairs and cleanings. We can design and remount your precious stones, turning your precious stones into a custom piece of jewelry. We’re fully insured with (3) D.C.A certified diamontologists. David was trained at Stewart School for Jewelers in Jupiter, FL, where he earned his jeweler certification. He is qualified in jewelry repairs, diamond and gemstone setting and casting of jewelry. We will return or exchange new merchandise within 30 days from date of delivery only if item is unworn and has not been sized to fit customer upon inspection of our jewelry professional for refund. After 30 days, customer can only receive in-store credit for exchange only. Pre-Loved items are “used” and cannot be returned for refund/exchange after 30 days. Our store cannot be held responsible for loss of stones in a “used” item after 30 days. We guarantee your new purchase and repair for 6 months against manufacturer defects and workmanship from date of delivery upon inspection by our jeweler. We are ONLYresponsible for the area that we completed repair work on if it’s due to our workmanship. We do not cover normal wear and tear or customer abuse. Our expert craftsman repair work is to the highest standards which is why your jewelry is fully insured while in our store. Repair work excluded is glued items, any invisible set repair work, enameling, rhodium plating, and hollow repair work * (see below). Custom/ Cad Cam work is non-refundable. We do not assume responsibility for loss of single diamond/gemstone above 1 carat. Customer should have stone appraised and insured on a jewelry policy. We will make adjustments to repairs up to 30 days from date of delivery if customer may need a size adjustment for a ring sizing since a customer’s finger can become larger or smaller because of different environmental factors. We can only guarantee our ring sizing from determining size from the customer’s finger. We cannot be given another ring to go by for size, try to guess size with a string or any other methods. If a customer requests a size without having the person in store to size finger, we cannot be held responsible for size adjustments and customer will incur additional charges to adjust size. * Warranty on repairs not listed above is subject to jeweler’s discretion if it will be excluded from warranty based on jeweler’s final inspection of item. ** DEPOSITS APPLIED TO A LAYAWAY WILL NOT BE RETURNED AFTER 180 DAYS IF CUSTOMER CANCELS ORDER. DEPOSITS ON CUSTOM ORDERS ARE NON-RETURNABLE SUCH AS BUT NOT LIMITED TO: NAME PLATES, MOTHER’S RINGS, CAD CAM. This was a tough one! It’s 14k white gold eternity band with diamonds and sapphires. The 10 diamonds are all different sizes from 2 mm to 3.5 mm. 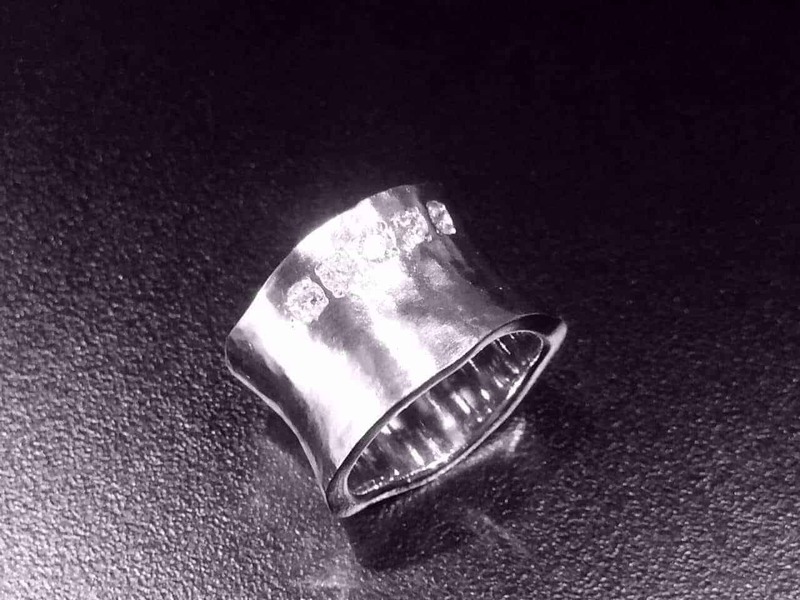 This was completely custom made by melting down a white gold mans ring and setting 5 diamonds from a tennis bracelet. She wanted the band to have a rustic look but yet be fashion forward!! Some of our handy work at Nature Coast Jewelers. 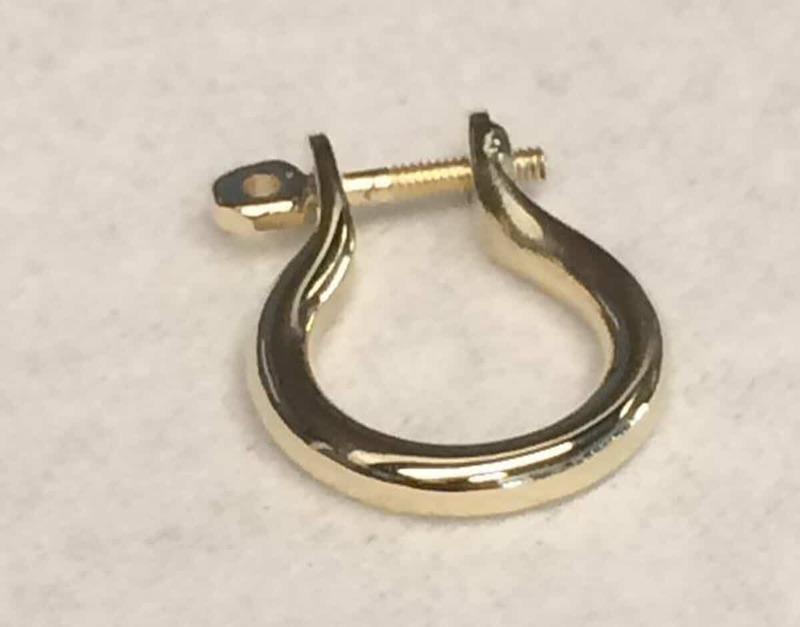 This 14k shackle earring was handmade for a ship’s captain.